I love the old alkaline glazed pottery of the southern USA. This area has contributed greatly to the ceramic tradition of this country. Little did I realize just how much! While doing research for an upcoming project for the area clay artists group, I stumbled upon some amazing facts that I was unaware of. 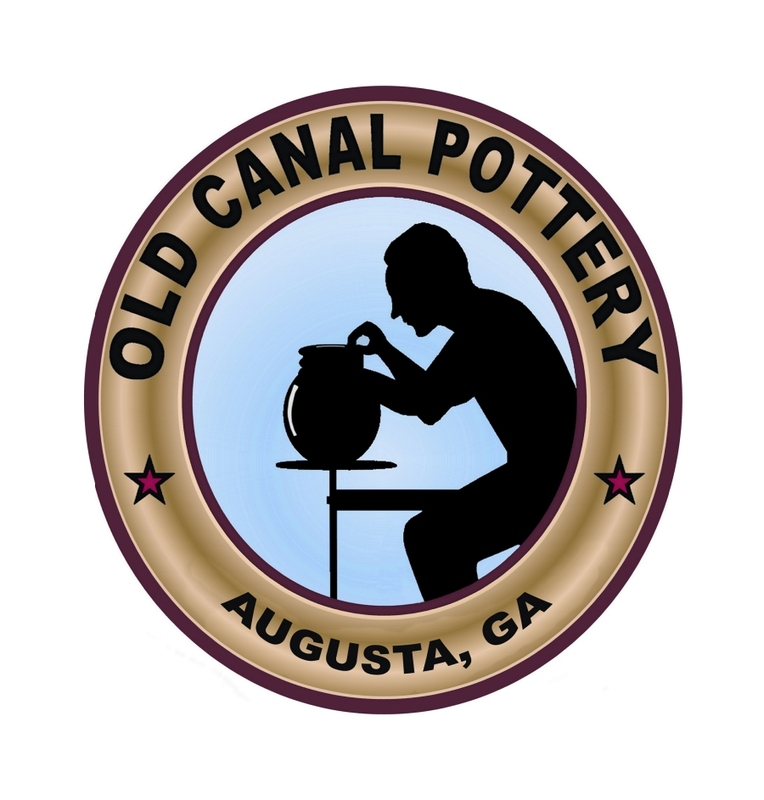 The most important of these facts was that around 4,500 years before present time, ancient people of the Archaic period of civilization began making pottery on Stallings Island in the Savannah River near present day Augusta, GA, making it the oldest pottery in North America! These people are known as the Stallings Culture, after the Island they inhabited, and were the makers of fiber-tempered pottery vessels. Fiber-tempered means they added a member of the tillandsia family called “Spanish Moss” or a type of palm leaf to the clay in which they hand-formed the pottery from. They had been cooking and eating their food out of animal skins. How, you might ask, did they cook in an animal skin? They heated rock in the fire and dropped the heated rocks into the pouch-like skin to bring the contents to a boil. The rock used appears to be soapstone at first. Later, they started baking clay balls to use in place of the soapstone since it was hard to come by in this area. 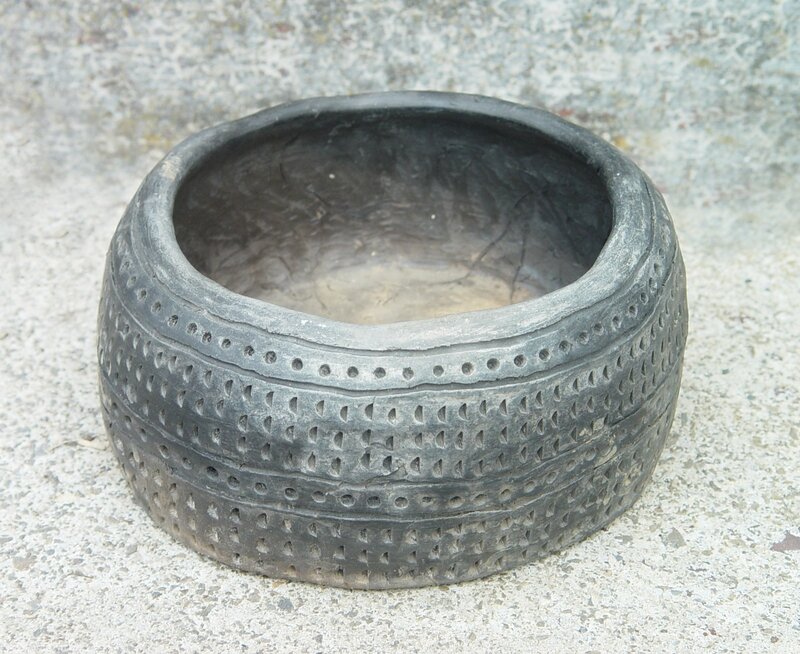 Later, soapstone was also hollowed out into a cooking vessel which could be placed directly over the fire. It appears the first fiber-tempered pottery, plain and undecorated, was used as serving bowls. Some 500 years later, designs were done by punching a reed or other sharp point and dragging it to the next spot. The heated food was divided up into bowls and consumed. Can you picture the first early woman (I feel it was probably a woman since they maintained the fires and did all of the cooking) noticing a thin, hard, bowl-like shape that had formed in the damp clay depression where her cooking fire had been? I can see her prying it out and holding it to marvel and wonder about the possibilities. As she showed it to her family, they soon discovered that not only would it hold water without dissolving into mud, but that it made a mean Saber-Tooth Tiger stew pot! Just kidding, the tigers were gone at this point in time. But, you get the idea. What a momentous day it was for mankind until the y realized someone had to wash the bowl out after its use. Well…. guess who wound up inheriting that job? It was only fair, the woman invented it and she should wash it. Seriously, the male mind of the time traveled down a similar train of thought as those of today. 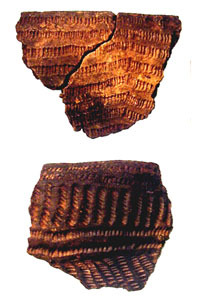 Early woman had discovered that when they sought to duplicate the process of the bowl made by the fire, it tended to crack, explode, etc. Somehow temper was discovered. The earliest temper, again, was plant fiber. Not long after, they discovered adding coarse sand for temper, which is what the balance of early native American pots have in them. Nowadays, we use ground-up fired clay grit or grog for our temper in clays we throw on the wheel or hand-build with for precisely the same reasons as our predecessors. Our clay group will soon duplicate this ancient pottery-making process using hand-dug clay from the banks of the Savannah River. We will pinch the pots to form, crudely use the jab and drag decorating method and fire them in a small pit with open wood fire. 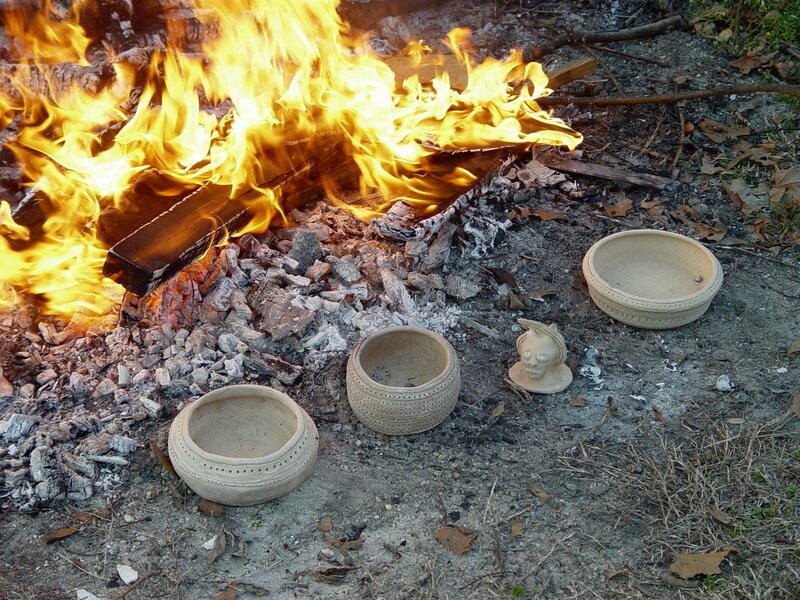 The following are some photos of pots made recently in the Stallings manner by me and my friend which were fired while burning some brush. Wow!…that really is amazing. I’ll be anxious to see how you guys fare with trying to figure out the methods they used. Pretty cool. Though simple, I’m sure there will be many lessons learned, Mickey!